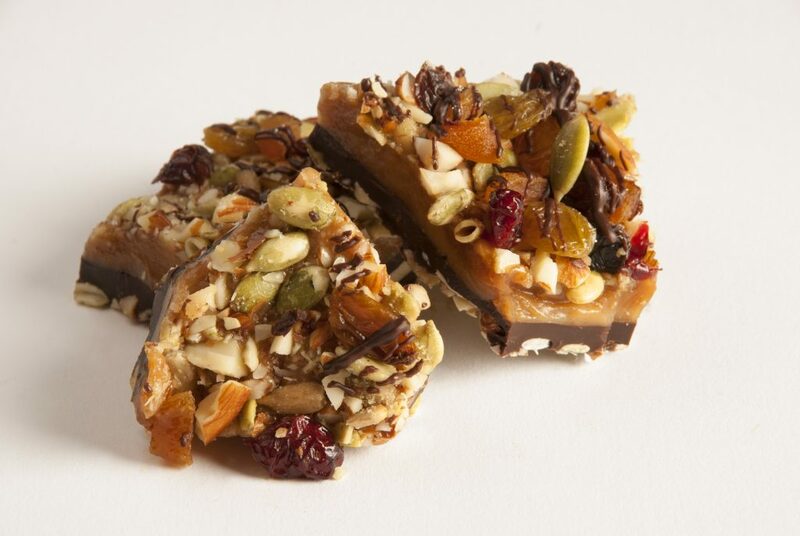 We’re committed to creating our purely irresistible handcrafted toffee with unique flavor combinations and excellent ingredients–many of which are local. 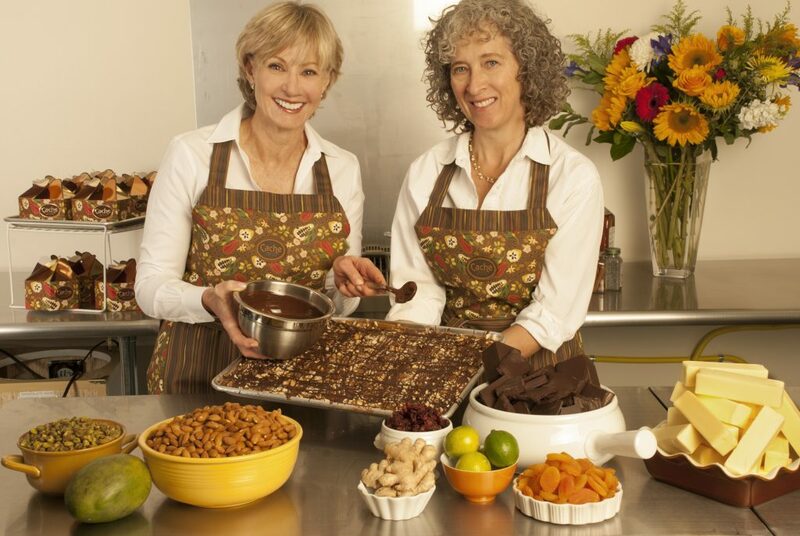 Together with the valuable assistance and long time friend Bobbie, we make toffee in small batches using fresh local butter and cream, renowned Solstice Chocolate and an array of high quality natural ingredients. 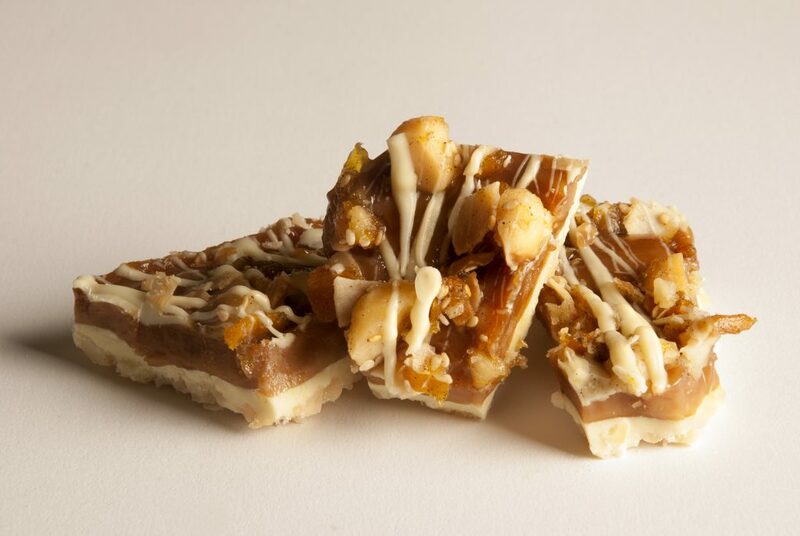 Our toffee is made fresh and preservative free and is best enjoyed at room temperature. It can be refrigerated or frozen for up to six months. 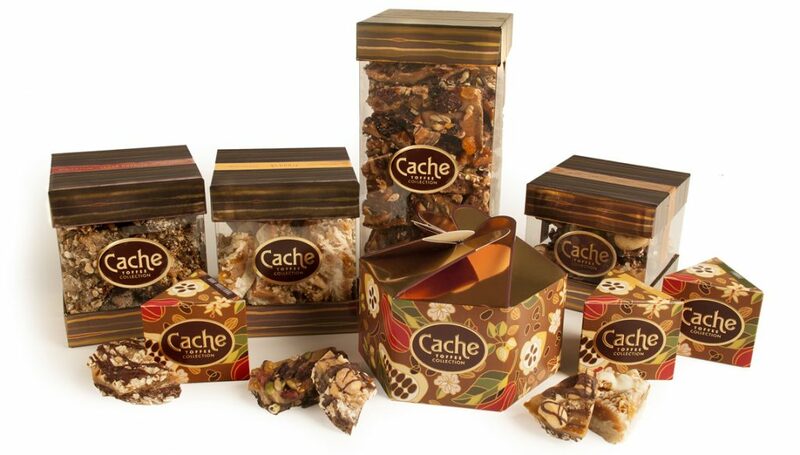 I started the Cache Toffee Collection in my Park City, Utah kitchen—7,000 feet above sea level. As I adjusted for the altitude the treasured toffee making techniques my mother taught me, one thing just sort of led to another. While working out the perfect balance of ingredients, temperature, and storage techniques, I also began to experiment with flavor and texture combinations. 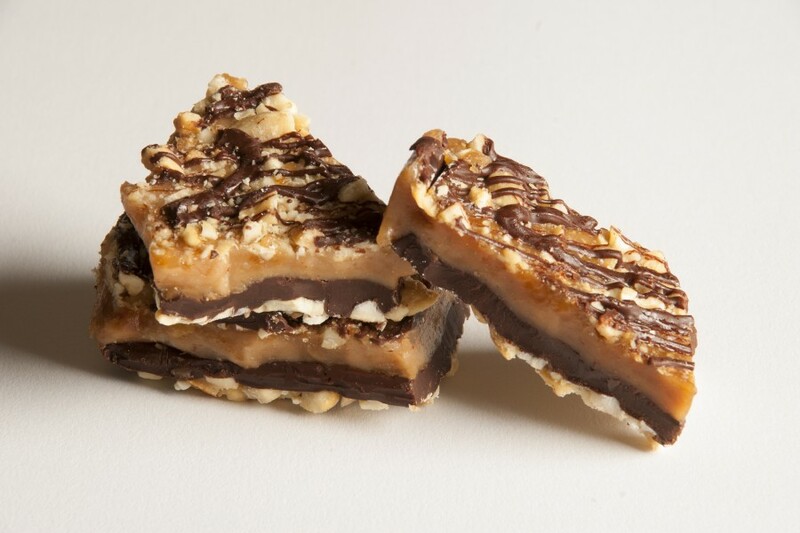 I thought, why not add some unique spices, or marinate fruits in brandy and introduce them to the layer of chocolate on the traditional toffee? How about a bit of spicy heat? You can see where I was going here. It wasn’t long before my love of cooking and gardening, and of celebrating each season led me down some delectable paths. I was simply having fun creating edible gifts for friends and family. But once I started, I couldn’t stop, because they kept asking for more! 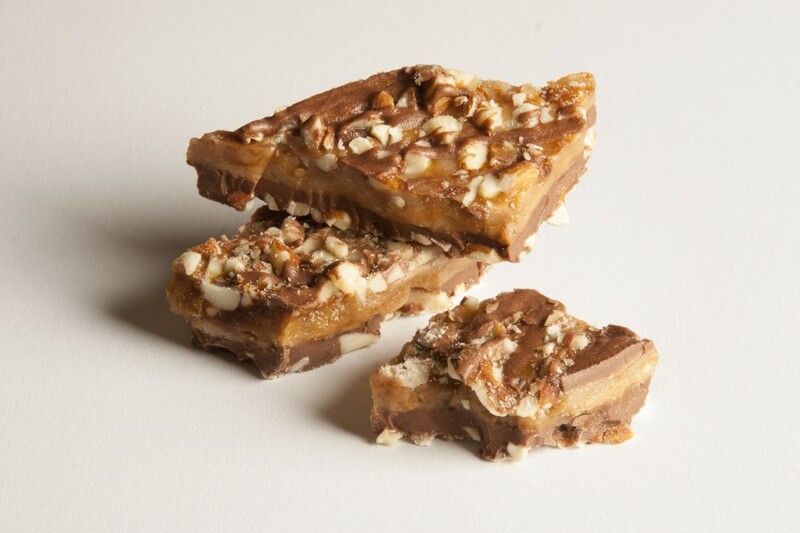 When I found out that some of our friends and family had gone so far as to pretend their supply of toffee was… “Oops! All gone…” just so they could keep their treasured Cache to themselves, I decided to go a little bigger. I moved into a commercial kitchen and made it official. 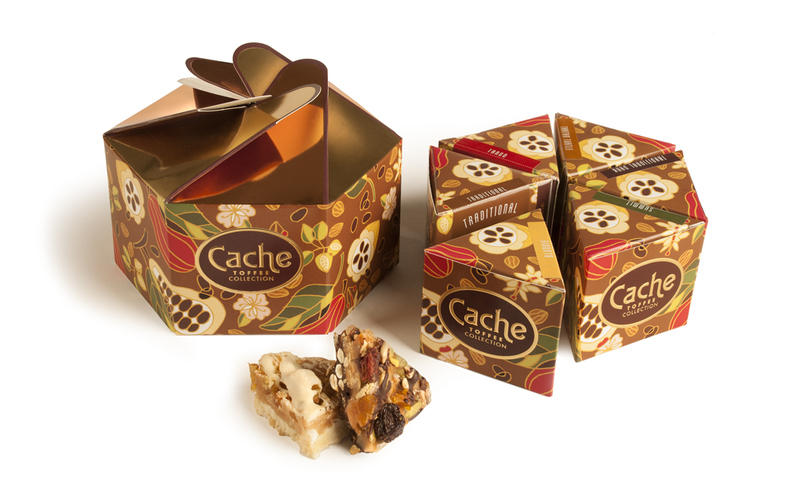 The Cache Toffee Collection is still local and handcrafted, but now it’s available nationally and online—with six varieties (and more scrumptious flavors on the way), and now there’s a toffee for every sweet (and savory) tooth, every season, and every occasion. 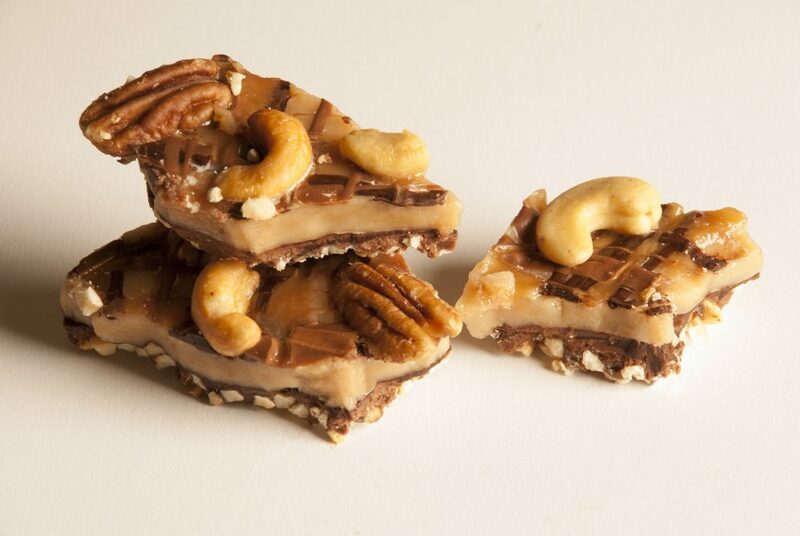 So go ahead—treat yourself! This entry was posted in Food and tagged candy, gifts, sweets, toffee on October 10, 2017 .